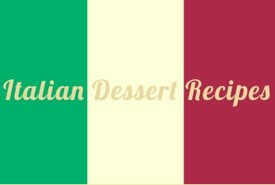 Want authentic Italian gelato recipes? Look no further. You won't find anything to compare with these traditional Italian ice cream recipes. Gelato is world famous as one of the first frozen ices and now you can easily capture its creamy, decadent, uniquely European taste. 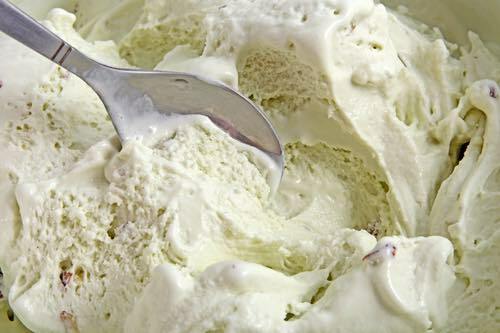 If you love pistachio nuts, you'll love this creamy, rich-tasting Italian ice cream recipe. It should work well with other nuts like almonds, hazelnuts, or walnuts too. Ripe strawberries, 3/4 lb; granulated sugar, 3/4 lb; water, one pint; a big lemon; an orange. Boil the sugar in the water for ten minutes in an uncovered kettle. Rub thorough a sieve the strawberries and the juice of the lemon and the orange: add the syrup after straining, mix everything and pour the mixture in the freezer. Make a cream with water, five ounces; sugar, two ounces; the yolks of four eggs; a taste of vanilla. Put it on the fire stirring continually and when it begins to stick to the ladle remove from the fire and whip to a stiff froth. Then mix about five ounces of ordinary whipped cream, put in a mold, and pack in salt and ice. Keep in ice for about three hours. This dish will be sufficient for seven or eight persons. 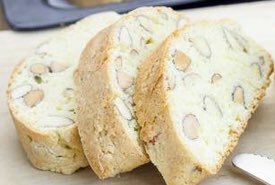 Biscuit Tortoni is a quick and easy frozen dessert recipe you can whip up in a few minutes, but your guests will rave about it for hours. Serve it well chilled and be sure to make enough for seconds. Everyone will beg you for more! One pint whipped cream, sweeten and flavor; one-half pound macaroons, pounded and mixed with the yolk of one egg; mix lightly together. Pour into mold and pack in ice. Watch the short YouTube video below as 94-year-old Clara demonstrates how to make an Italian Ice in your refrigerator freezer. Homemade ice dessert takes a while to freeze, but it's low-cost and so easy to make. Enjoy trying it. Just bring water and sugar to boil, then cool for 15 minutes. Place in freezer for 1 hour, stir, return to freezer and repeat stirring and freezing until mixture is semi-frozen. Stir in flavoring and top with mint leaves (optional). Enjoy a cool and refreshing treat. Get your copy of Clara's Kitchen, a cookbook featuring wisdom, warm memories, and simple Italian recipes from the Great Depression. Also get the Great Depression Cooking with Clara DVD for more of Clara's wisdom, memories, and great Italian recipes. Believe me, you'll love it. Don't accept a poor, modern imitation. 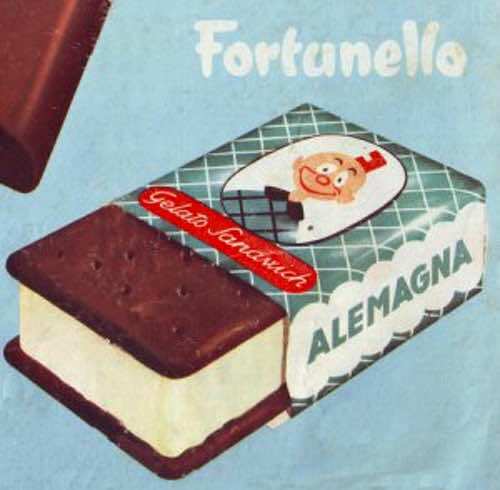 If you want to make authentic gelatos right in your own kitchen, gelatos with that Old Italian taste, then these ice cream recipes from Grandma's collection are what you have been waiting for. They're the real thing. Gelato di Crema the way it's meant to be! Click here for instructions on how to make ice cream in your home freezer. With these traditional Italian gelato recipes and a vintage Perry Como recording to listen to, you can almost believe you've been transported to sunny Naples. 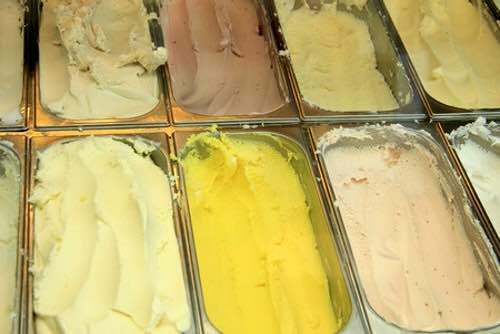 Make a tub of gelato tonight. 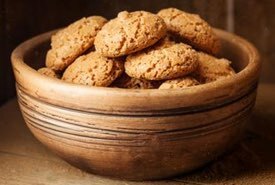 And remember, nothing goes better with frozen gelato than a plateful of homemade amaretti or biscotti.